The Commissioner for Revenue recognises that lessors of means of transport which are pleasure boats will not be able to assess, at the date of each chargeable event, the extent to which the pleasure boat is effectively used and enjoyed by the lessee within and outside EU territorial waters in those situations where lease payments are payable in advance by the lessee to the lessor. Commissioner shall only consider the place of supply of the hiring of pleasure boats, if situated within Malta, as being situated outside EU territorial waters if the actual effective use and enjoyment of the services, in whole or in part, takes place outside EU territorial waters and as long as the conditions referred to in this Guideline are satisfied. This Guideline is the only guideline of the Commissioner which shall apply to leases commencing on or after the 1 November 2018.
b) Where the lease commences less than 30 days prior to the end of the first tax period, the lessor shall charge the full VAT on the consideration payable by the lessee for the first tax period and the subsequent tax period (“the second tax period”). Upon the lapse of the tax periods as referred to in Section 2(a) and 2(b) above, the lessor shall procure from the lessee such reasonable documentary and / or technological data to determine the actual effective use and enjoyment by the lessee of the pleasure boat within and outside EU territorial waters during the afore-said tax period or tax periods as applicable. Based on such documentary and / or technological data, the lessor shall obtain a “Preliminary Ratio” of actual effective use and enjoyment in EU territorial waters by dividing the actual effective use and enjoyment of the pleasure boat in EU territorial waters by the total effective use and enjoyment in and outside EU territorial waters during the said tax period or tax periods as applicable. The “Preliminary Ratio” referred to in section 3 shall be used by the lessor to provisionally determine the portion of the lease payments attributable to effective use and enjoyment in EU territorial waters for the subsequent tax periods after the ones referred to in Section 2(a) and 2(b) above. This “Preliminary Ratio” shall only be utilised up to the end of the tax periods in which the first twelve months of the lease fall, inclusive of the first tax period or first and second tax periods mentioned above (the “First Annual Period”). Where the duration of a lease is shorter, then the “Preliminary Ratio” would apply for the duration of the lease period. A “Provisional Output Tax” shall be calculated by multiplying the taxable value of each supply by the “Preliminary Ratio” by the standard rate of VAT. Any difference that would result between the full output tax charged in accordance with section 2 above during the first and, if applicable, the second tax periods and the calculation of the “Provisional Output Tax” for those tax periods utilising the “Preliminary Ratio” in accordance with section 4 above shall represent tax overpaid by the lessor, which overpaid tax shall be adjusted for in the tax return for the tax period immediately following the first or the second tax period referred to in section 2, as applicable. Where a lease (whose duration does not exceed the First Annual Period) terminates after the second tax period, the difference between the total output tax charged for the lease term calculated provisionally in terms of sections 2, 3, 4 and 5 above and the definitive calculation of the output tax for the lease term based on the actual effective use and enjoyment during the full lease term, shall be adjusted for in the tax return for the tax period subsequent to that in which the lease terminates. 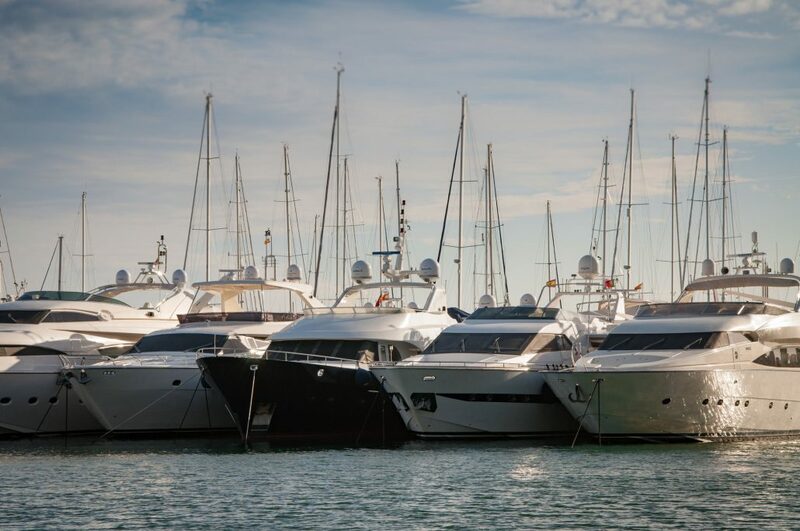 For leases whose duration exceeds the First Annual Period, the chargeable output tax on the hiring of a pleasure boat which is covered by this Guideline shall be calculated as laid down hereunder. The term “Subsequent Annual Period” refers to every number of tax period covering 12 months subsequent to the First Annual Period. The First Annual Period and the Subsequent Annual Periods are referred to individually as an “Annual Period” and collectively as the “Annual Periods”. f) Any difference between (i) the Provisional Output Tax for any Annual Period, or part thereof and calculated in accordance with paragraph (e) above or Section 4, and (ii) the total output tax calculated based on the “Actual Ratio” for the Annual Period or part thereof in accordance with paragraph (d) above, shall represent tax due by that person or tax over paid by that person which tax shall be accounted for in the tax return for the tax period following the end of the relevant Annual Period or in the tax return for the tax period following that in which the lease period terminates, whichever is the earlier. These Guidelines were officially issued by the Commissioner for Revenue on the 28th February 2019.